The Eastern Conference is more interesting this year than it has been in some years. The Cleveland Cavaliers are atop the mountain at the present time, but are locked in a tie for 1st place against the Celtics at the present time. 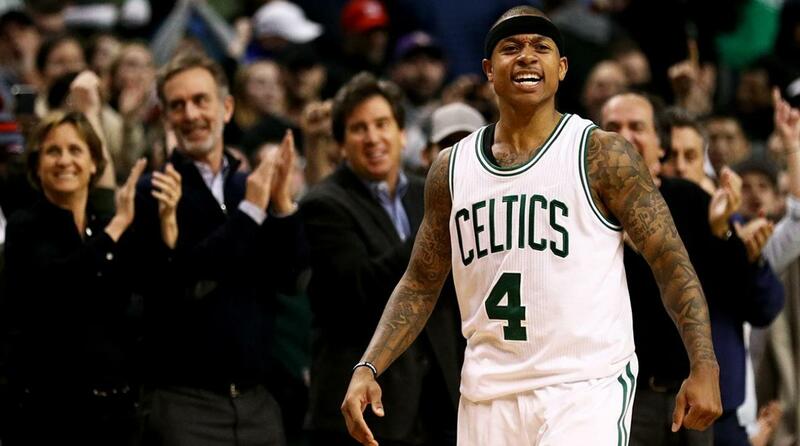 The Boston Celtics have shown their toughness and their ability to compete this season. 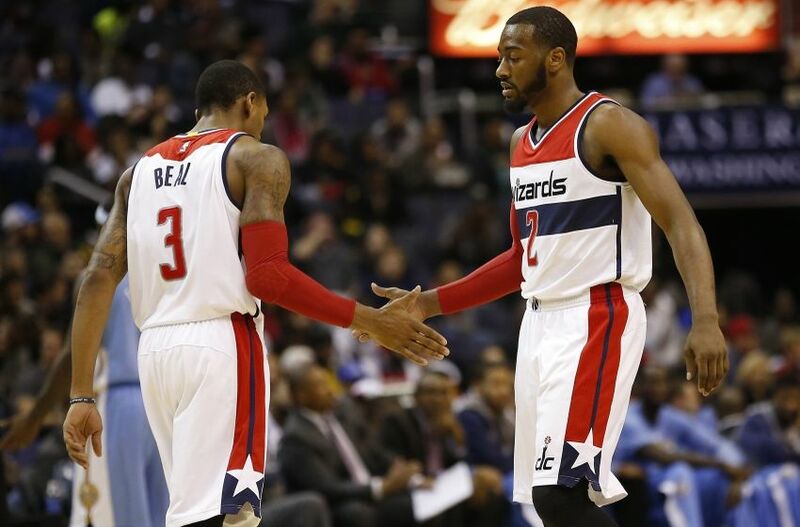 The Washington Wizards have shocked everyone and shown that they could compete at the highest level. 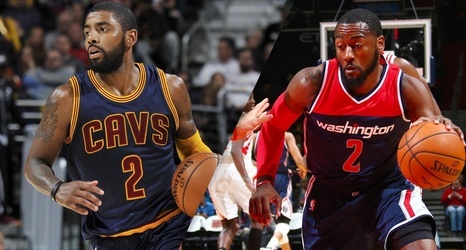 These three teams have one thing in common: a top tier PG plays for their team. 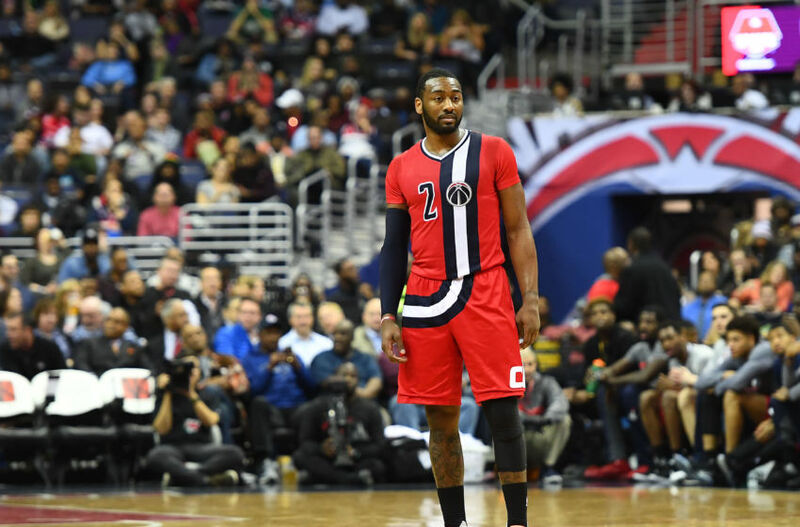 Today, we wanted to take a look at the Eastern Conference point guards and determine, who is the best player at the 1 in the Conference? Let's get into it. 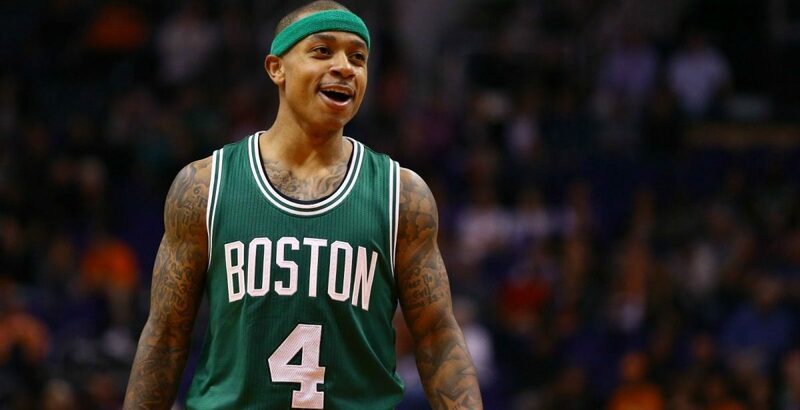 Let's take a look at the five best point guards in the East and their strengths. Some might argue for a few other names to be here, but when you look at who leads and plays the hardest for their team, these are the 5 top choices. Let's examine. 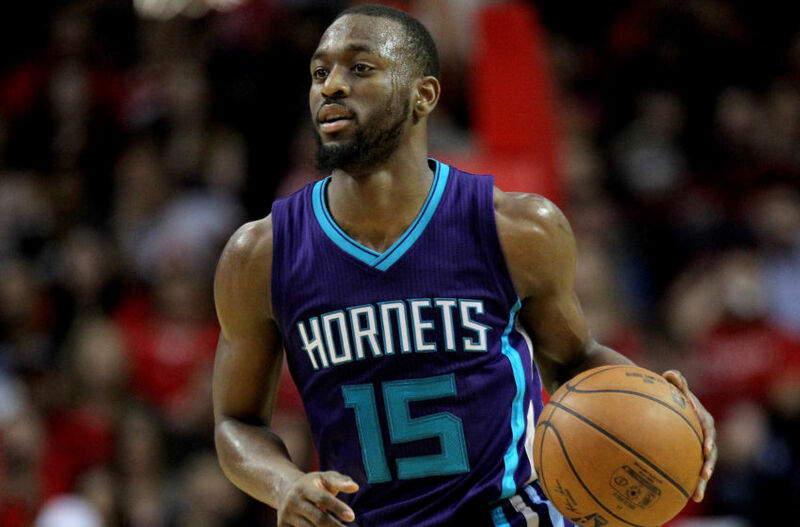 -It's safe to say that Kemba has emerged as one of the best players in the East over the last few seasons. He's a solid scorer, has good handles, and can defend pretty well when need be. There is a little bit of inconsistency in his game, but regardless, Kemba has shown that he is the leader of this Hornets team that was once right there in playoff contention. At the moment, they are only about 2 games out of the 8th seed, but whether they make it or not, Kemba still has a claim to the title of the best PG in the East. Some of his best games have shown him making tough plays down the stretch and scoring at will when he's needed to take over the game. In addition to that, his numbers are some of the best he's ever put up in his career, which is nothing short of an amazing feat for him as he continues to grow as a player. -Though currently injured, Lowry has been seen as a part of the best backcourt in the East for the last two seasons or so (depending on who you ask). His shooting efficiency has rose when needed, and he's able to lead the team at times when Derozan can't pick up the slack. 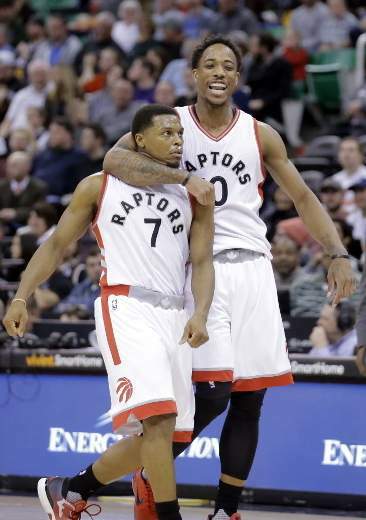 His three point shooting comes in handy for a team that doesn't have many three point shooters, and we've seen in the last few seasons how Lowry has stepped up big time. 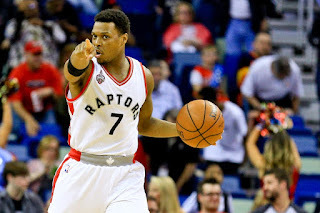 Making three straight All Star appearances and getting voted to the All NBA Third Team last year, Lowry has proven to be one of the more viable point guards in the East, and if someone wanted to call him one of the best, I'm not mad at that. 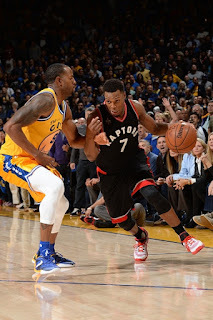 Let's hope he comes back from injury soon because the Raptors could use his skills for the playoffs. -Where would the Celtics be without IT? There's no denying that their road to the Playoffs and contending for the no. 1 seed would be much tougher without him. Al Horford hasn't been as effective, Avery Bradley has had his share of inconsistent moments as has Jae Crowder, Jaylen Brown is still a rookie and Marcus Smart is still Marcus Smart. The Celtics on paper have a good team and when everyone is clicking, they are a really good team, but without IT, they wouldn't be where they are. That's essentially what has IT in many MVP conversations and I don't think it's an exaggeration to say he should be considered a top 5 MVP candidate considering what Boston has done. 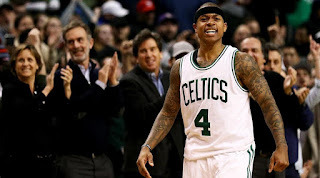 He is known as Mr. 4th quarter for showing up when need be for the Celtics and that's what has led them to what will likely be a 50 plus win season, a far cry from where the Celtics have been the last few seasons. IT is the reason why Boston is back in the playoffs regularly and he's the star of this team. If he isn't the best PG in the East, he's definitely top 2-3. -Many people wanted to crown Kyrie as the best once he made the game winning shot to give the Cavs a championship in Game 7. What Kyrie does best is score and create points, and he has arguably the best handles in the entire game. He's a scorer and a ball handler, and when needed, he steps up and takes over the game. 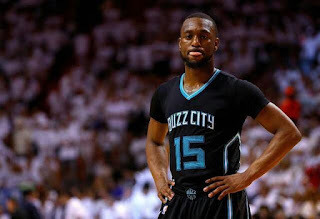 He has always been known to make the big shots and he did so against a number of the top teams in the NBA this year. 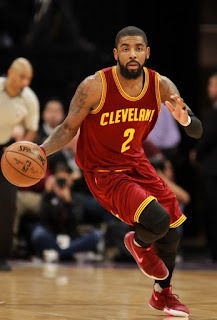 Kyrie is cold blooded when he has to be, and with all that he brings to the Cavs, it's no wonder they are currently competing for the 1st seed in the East. 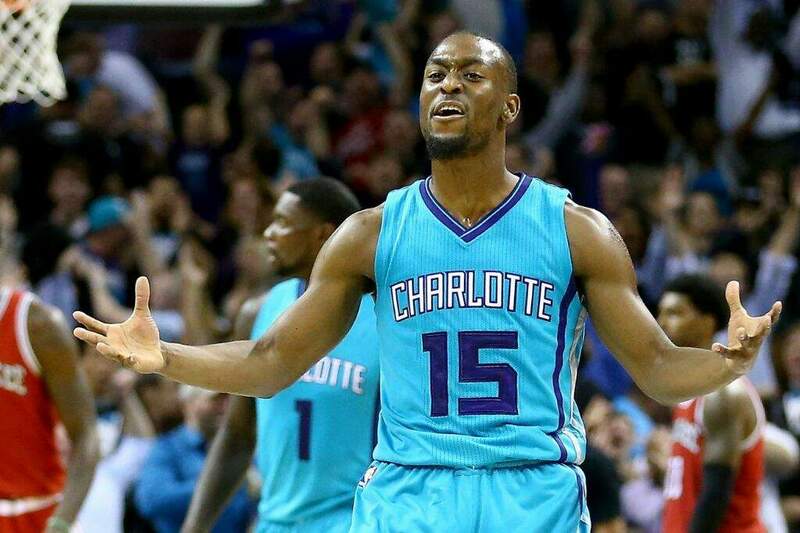 -This guy gets it done on both ends of the floor and should lowkey be a MVP candidate for his work this year. Not too many players at the 1 can average 20 points plus and 10 assists, and manage to also be strong on the defensive end with game changing blocks while being virtually tied for the most steals in the entire NBA. 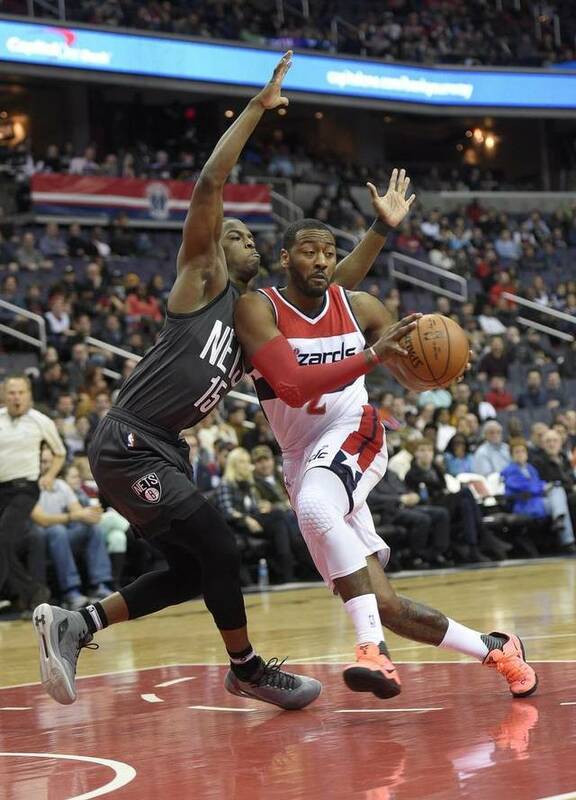 To do what John Wall is doing this year is no short of amazing and when considering he's on a team that's not quite as stacked as the Cavaliers or even the Celtics, it makes his work this season beyond special. He's outplayed just about every other PG in games where it mattered most, and aside from a few off games, he's been the most consistent PG in the East. With nearly 50 double doubles on the season, he is head and shoulders above other PGs in this regard and when looking at the best, he must be high on the list regardless. If I had to make a choice, I'm going with the best two way player and that's John Wall. He doesn't score as freely as Isaiah Thomas or Kyrie, but he does have a better all around game. 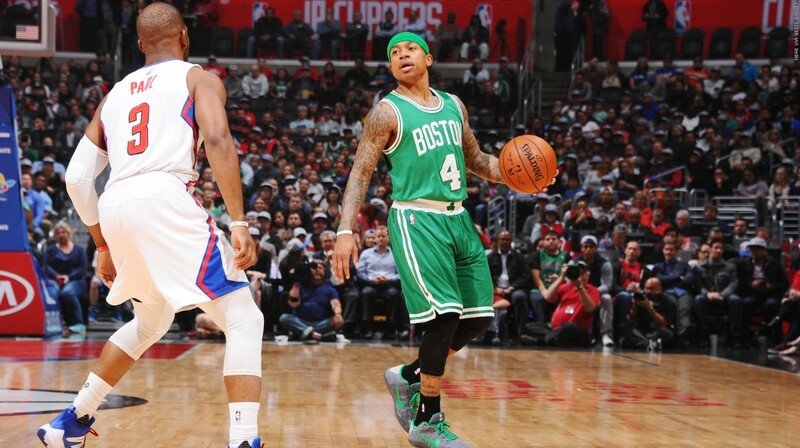 Kyrie doesn't defend very well and Isaiah isn't known as a great defender due to his short stature and height. Regardless, John Wall makes up for what he may lack in height with true toughness and the ability to play lockdown defense when the time calls for it. 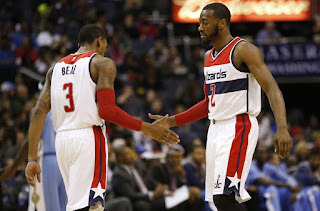 Kyrie and Isaiah are the best scoring options in the Eastern Conference PG pool, but Wall can nearly do the same as them while maximizing his assists and defensive play. 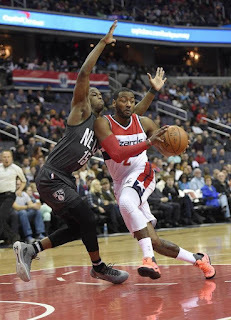 I'd go as far as saying that John Wall is the best two way PG in the league. Russ can't defend as well as Wall and Harden definitely can't, and while Steph is a slightly better defender than both Russ and Harden, we've seen John Wall this year showcase why he might be one of the most underrated players in the game right now. 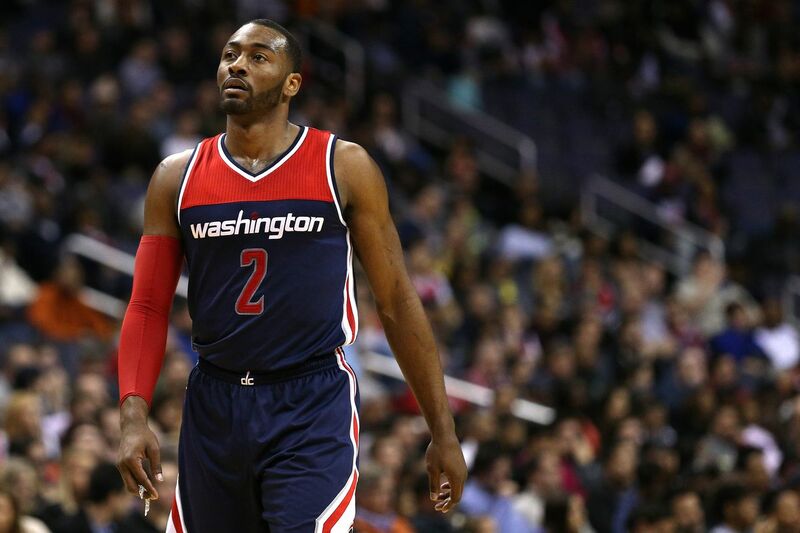 Like it or not, Cavs fans, Celtics fans, Raptors fans, Hornets fans, and others, John Wall is the best point guard in the Eastern Conference. It's as simple as that.